Many wondered if the proclamation would prove foolish. When Aaron Best took over as the head coach at Eastern Washington before last season, he proclaimed his intention to slightly shift the mentality of the Eagles. The longtime offensive line coach, naturally, said he wanted to run the football and play stouter defense. “I think we have gone on some really impressive runs and we have had a ton of success in the Big Sky,” Best said before the 2017 season. “But I think in the playoffs in December we have fallen short to some teams who might not have the overall talent we do because they have played physical, ball–control football. 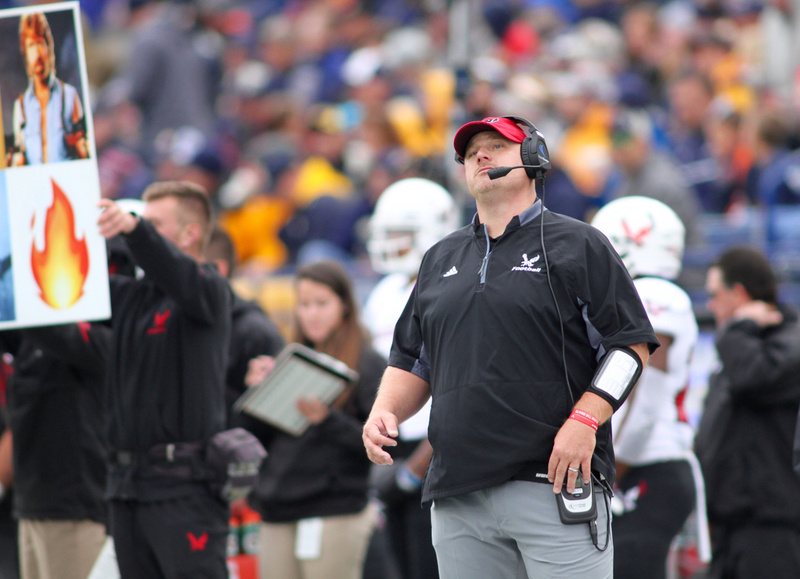 EWU has set the standard in the Big Sky Conference this decade thanks largely to the high-flying, prolific passing offense that helped former head coach Beau Baldwin land the offensive coordinator job at Cal following the 2016 season. From Josh Blankenship in 2002 to Gage Gubrud in 2016, six different Eastern quarterbacks claimed Big Sky Offensive Player of the Year honors, including Erik Meyer winning in 2004 and 2005, Matt Nichols earning the honor in 2007 and 2009 and Vernon Adams repeating in 2013 and 2014. Meyer in 2005 and Bo Levi Mitchell in 2011 each won the Walter Payton Award as the top offensive player in the FCS. Eastern ranked at or near the top nationally in every passing category feasible for most of the last 15 years, using Baldwin’s single-back hybrid spread offense to advance to the FCS playoffs in 2004, 2005 and 2007 with Baldwin as OC and Paul Wulff as the head coach. With Baldwin at the helm, EWU earned six playoff berths in eight seasons, winning the 2010 FCS national title and advancing to the semifinals on three other occasions, including in his final season in 2016. So when Best said he would keep the same expectation of excellence and covet prolific quarterbacks while also trying to alter the identity of his football team to fit his vision, many wondered how it would work. The answer has been resoundingly well as Best enters his first playoff appearance as a head coach in his second season guiding his alma mater. 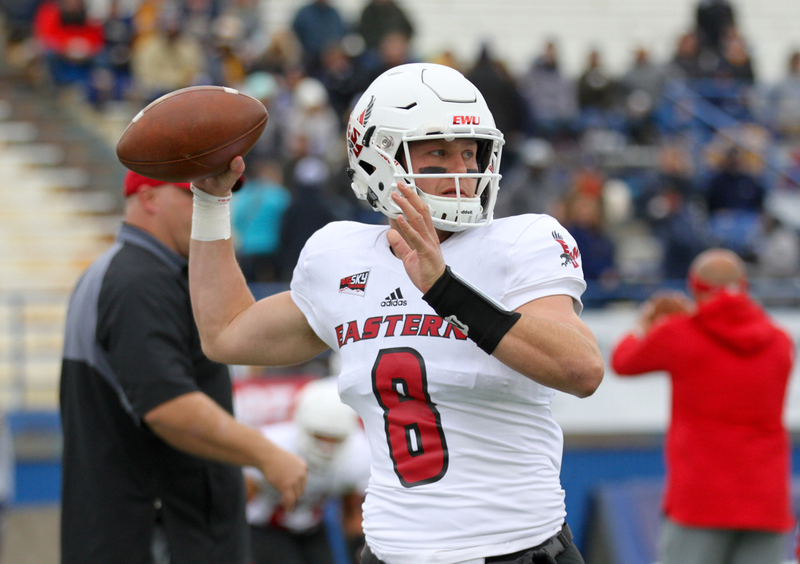 A year after missing the postseason despite a 7-4 record and wins in seven of its last nine games, Eastern Washington shared the Big Sky title (EWU’s sixth conference crown this decade) with Weber State. The 9-2 Eagles earned the No. 3 seed in the FCS playoffs. The Eagles have done it with an entirely new formula. 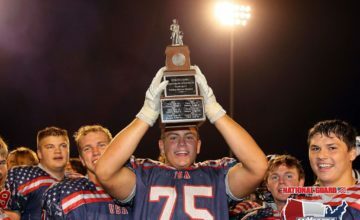 Gubrud, a 2016 All-American, saw his senior season end abruptly the final game of September. EWU pivoted to sophomore Eric Barriere, a dual-threat who earned third-team All-Big Sky honors despite only starting six games. Eastern Washington rushed for 441 yards in a 70-17 win over Cal Poly to open Big Sky play with Gubrud still guiding the offense, then proved that production was no fluke once Barriere took over. Eastern rushed for 380 yards in a 55-17 win over Southern Utah, 308 yards in a 48-13 win over Northern Colorado, 372 yards in a 59-20 win over No. 4 UC Davis and 378 yards in a 74-23 win over Portland State. 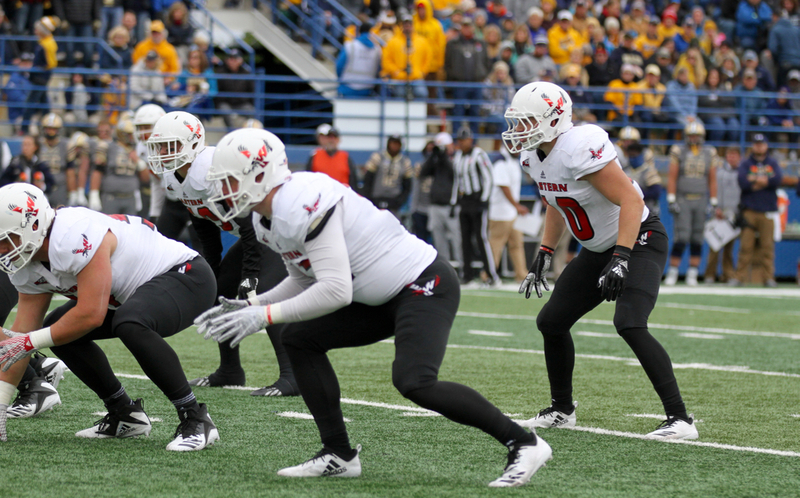 EWU rushed for 275 yards per game this season all told. The Eagles have also been a force on defense. 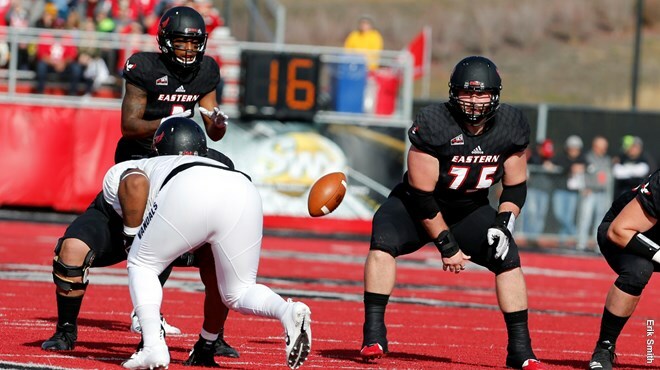 EWU did not give up any more than the 23 points PSU scored in a 51-point Eastern win. Eastern scored 48 points per game and gave up 16.9 in league, tops in the league, during conference play. Senior defensive tackle Jay-Tee Tiuli, a first-team all-league player in 2016 who missed all of last season with an injury, earned the Big Sky Defensive Player of the Year by leading a unit that notched 27 sacks and snared 14 interceptions, both at or near the top of the stat rankings. The Eagles host No. 14 Nicholls State (9-3), the co-champions of the Southland Conference, on Saturday at Roos Field in Cheney. Nicholls beat Pioneer Football League champion San Diego 49-30 last week. 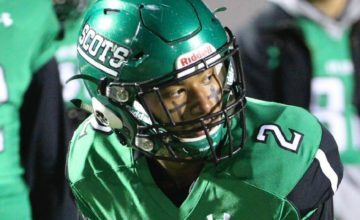 In 2012, Adams burst onto the scene, leading Eastern to the semifinals as a freshman. But the Eagles could not combat Sam Houston State’s prolific and powerful spread triple option offense. The Bearkats rushed for 418 yards in a 45-42 win in Cheney. In 2013, future NFL running back Terrence West pounded his way to 115 yards and two touchdowns to lead a Towson rushing attack that piled up 241 yards on the ground in a 35-31 win over Adams and the Eagles a step short of the national title game for the second straight year. Marshaun Coprich rushed for 258 yards and four touchdowns as Illinois State went to Cheney and ended EWU’s season in the quarterfinals in 2014. In Baldwin’s final season, perhaps Eastern’s most talented team fell just short in heartbreaking fashion. After a 50-44 overtime loss to No. 1-ranked and five-time defending national champion North Dakota State in Fargo, EWU ripped of 11 straight victories. 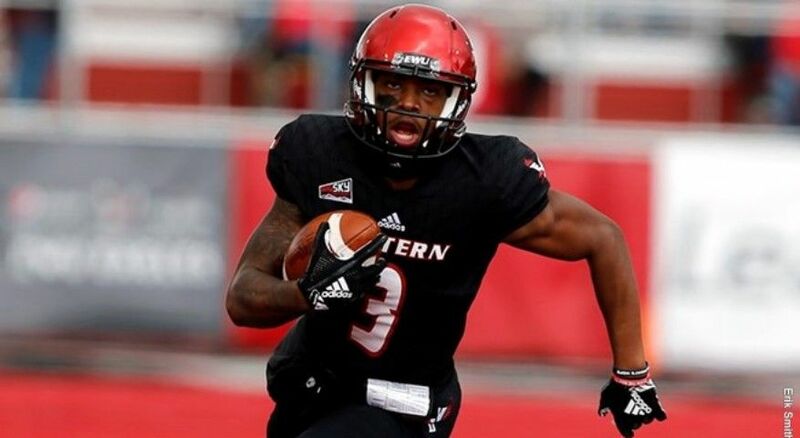 With a roster featuring perhaps the greatest offensive player in the history of college football in Cooper Kupp flanked by fellow NFL receivers Kendrick Bourne and Shaq Hill catching passes from Guburd, the EWU passing attack was unstoppable. Gubrud threw for a Division I record 5,160 yards and 48 touchdowns, including 117 passes for 1,700 yards and 17 touchdowns for Kupp, now in his second year starring for the Los Angeles Rams. Defensively, current Rams starting outside linebacker Samson Ebukam wreaked havoc, the best example a virtuoso performance in EWU’s 38-0 quarterfinal win over Richmond. Ebukam had four tackles for loss, two sacks, a forced fumble, an interception and a fumble recovery that frigid day in Cheney. The following week, it all came crashing down. 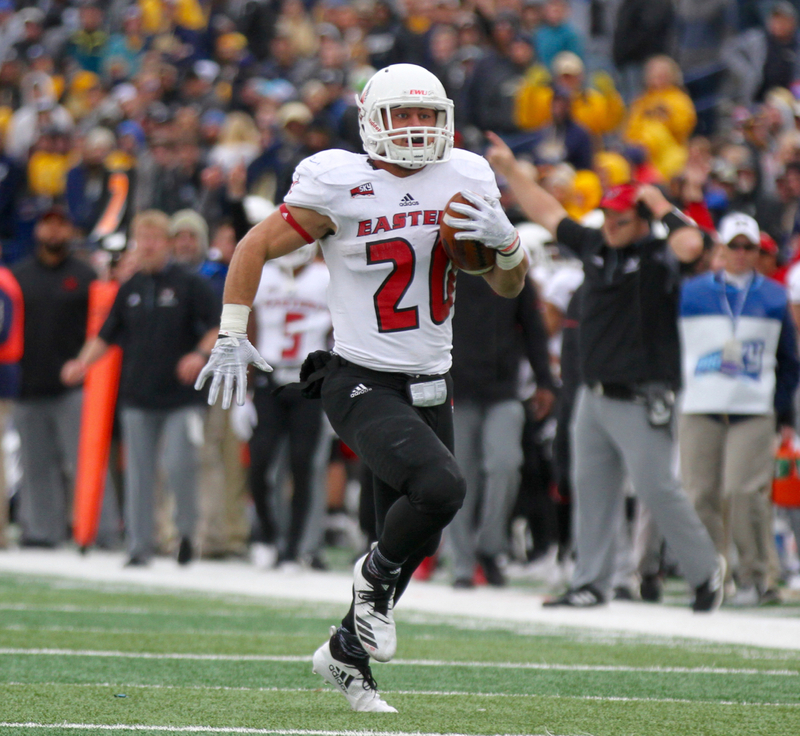 Kevin Rader’s contested, behind Ketner Kupp’s back catch with one second left lifted Youngstown State to an upset of epic proportions in a 40-38 win that stopped EWU’s storybook run one round short of the national title game in Frisco, Texas. Kupp, Bourne and Ebukam all went to the NFL, Baldwin and offensive coordinator Troy Taylor (Utah) went to the Pac 12. The rest of the Eagles were left wondering what was next. Best, EWU’s offensive line coach from 2002 until 2016 save for the 2007 season he spent with the Toronto Argonauts, took over facing a bear of a schedule. The Eagles started 0-2 with losses at Texas Tech and eventual national champion North Dakota State. A rally from a 24-10 deficit for a 48-41 win at Montana sparked EWU to seven wins in nine outings. But a 7-4 record was not good enough. The Eagles were left out of the 24-team playoff bracket. “Given the fact that we started the strength and conditioning program earlier than anticipated last winter didn’t sit well with anybody, especially a group of guys who had tasted opportunity in three playoff games the year before,” Best said. “Any time it’s different, you want some more of it and we weren’t given the opportunity. “What we tried to do is spin that motivation of not being able to play into being able to attack the weight room in the off-season. Our mission the first couple of months was let’s leave the film along, leave the drills alone and let’s get in the weight room and get as big as we can so we can put on mass. 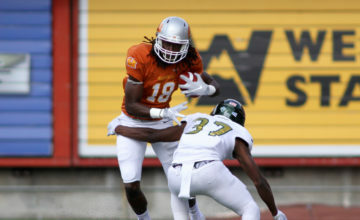 Now the Eagles will get a chance to prove Best’s formula can take the program on another deep playoff run that the Eagles hope culminates in the first national championship for the Big Sky in nearly a decade.